If you are looking for a shrub that can bloom in shade, the graceful deutzia might be the plant for you. This mound-shaped shrub’s abundant flowers and flexible growing conditions are definite pluses for many gardeners. Deutzia is a group of about 60 species, most of which are native to China and elsewhere in Asia, while a few originate from Europe and Central America. These mound-forming shrubs have long, arching branches that give them a weeping or cascading appearance. 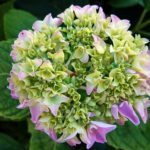 Deutzias are members of the hydrangea family, and like hydrangeas, they produce small flowers that grow abundantly in clusters. However, deutzia flowers look quite different, with the petals of some species elongated and gently drooping, and others bell-shaped or open. These fragrant flowers are pure white or tinged with pink, and they appear for about two weeks in early spring to mid-summer. Deutzia produces deciduous, light-green leaves, and some varieties develop red leaves in fall. These shrubs are ornamental during the winter season too, with bark that peels back to reveal a reddish-orange color underneath. Deutzia plant care is generally simple. These plants are tolerant of a wide range of soil conditions and do not suffer from significant disease problems. The exception is that they can be damaged by excessive moisture in poorly drained soil or by drought. Most deutzia species are hardy in USDA zones 5 through 8. However, some species may have different needs, so be sure to learn about your specific variety of deutzia. Information on different varieties is available from extension services and nurseries. Growing deutzia plants require pruning every year to look their best. Prune your deutzia shrubs immediately after they finish flowering. Deutzias flower on second year growth, so if you prune too late in the season, you risk removing the developing flower buds that will produce next year’s blooms. Fuzzy deutzia (Deutzia scabra) has been cultivated in Japan for hundreds of years and was popular in American gardens in the mid-to-late 1800s. 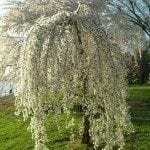 Its clusters of small, white, often doubled flowers have the look of cotton balls covering the branches. This species grows up to 10 feet (3 meters) tall and tolerates shade. Some gardeners report it can bloom even in full shade. Slender deutzia (Deutzia gracilis) is among the most popular species for ornamental plantings. It tolerates either full sun or partial shade. 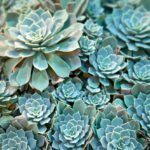 It can grow in a wide range of pH conditions including alkaline soil, but it requires that the soil be moist and well drained. These plants generally grow 2 to 4 feet (0.6 to 1.2) meters) tall and wide. A two-foot-tall cultivar known as “Nikko” is available. Slender deutzia can tip root (develop roots where cascading branches touch the soil), which means the plant will spread if you let it. Deutzia x lemoinei is a hybrid form with very abundant flowers. It grows 5 to 7 feet (1.5 to 2 meters) tall and wide, and unlike most of its relatives, it is hardy down to zone 3 or 4. 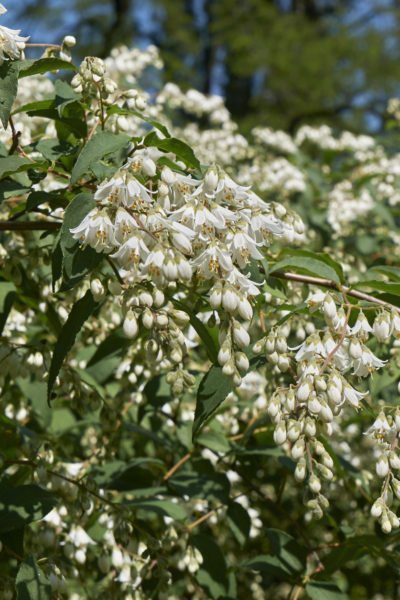 Read more articles about Deutzia.